Tottenham Hotspur manager Mauricio Pochettino is keen on acquiring the signature of Aaron Wan-Bissaka from Crystal Palace with first-choice right-back Kieran Trippier likely to part ways with the club in the summer. According to The Express, Pochettino is planning a major squad overhaul ahead of next season and that could include the departure of 12 players including right-backs Trippier and Serge Aurier. It is added that Wan-Bissaka has been earmarked as the prime choice to bolster the right side of the defence, but the club are unlikely to get him on the cheap amid interest from the likes of Manchester United. 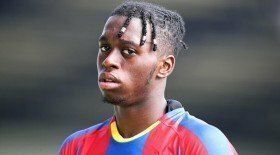 Wan-Bissaka, who made his first-team debut for the Eagles last year, is currently valued at around £40m, but the valuation could rise further with the interest from numerous elite clubs. Arsenal have also been linked with the services of the Palace graduate, but they may not offer him with the assurance of regular gametime, once Hector Bellerin returns from a long-term knee injury.